Are You a Finalist in the 2018 'ASTORS' Homeland Security Awards Program? Why the 2018 ‘ASTORS’ Homeland Security Awards Program? The traditional security marketplace has long been covered by a host of publications putting forward the old school basics to what is Today – a fast changing security landscape. Sponsored by ATI Systems, Attivo Networks, Automatic Systems America, Desktop Alert, Robotic Assistance Devices, Royal Technologies – SWORD & More! American Security Today is pleased to announce the 2018‘ASTORS’ Homeland Security Awards’ Finalists, for their outstanding product development achievements and exciting new technologies to address the growing homeland security threats our Nation is facing. The ‘ASTORS’ Champion Edition is published annually in December and highlights some of the tremendous accomplishments the firms nominated to receive this prestigious award, and others, and will include a review of programs and feature details on many of the winning firms. 2018 ‘ASTORS’ Homeland Security Award Winners will be Announced at the 2018 ‘ASTOR’ Luncheon on Nov. 14th, at ISC East – Register today! Police Commander specializing in Intelligence, Investigations, Physical Security, Risk Assessment, and Leadership. Marshalls LP (N America) Inc.
U.S. Department of Defense (DoD) law enforcement agency within the charged with protecting and safeguarding the occupants, visitors, and infrastructure of The Pentagon, and assigned Pentagon facilities. (Learn More about SCOT™. RAD’s unique Power System allows SCOT™ to be quickly placed virtually anywhere for short- or long-term deployments with zero investment/planning in any supporting infrastructure. Courtesy of Robotic Assistance Devices and Vimeo). The REACT5000 supports multiple simultaneous communication paths to provide the most robust notification system available. ATI Systems, a Premier Gold Sponsor of the 2018 ‘ASTORS’ Awards Program, is competing with their next generation REACT5000 Central Control Unit (CCU), which provides enhanced of ATI remote units such as the Indoor Speaker Stations (ISU) and the High Power Speaker Stations (HPSS). REACT5000 serves as a key component in the creation of a powerful and flexible Mass Notification System (MNS) and uses powerful encryption algorithms accelerated by the hardware of the onboard processor. An intuitive touch screen interface allows for the activation of tone alerts, recorded voice messages, or live PA announcements, and displays the status of remote units in real time. It may be used in conjunction with ATI’s MassAlert software for complete control of complex multi-location MNS applications, but may also be used as a standalone controller for smaller systems. Additionally, ATI Systems long anticipated the potential for cyber vulnerabilities and has designed systems that incorporate increasingly advanced security protocols to prevent cyber attacks. Attivo Networks, an Award-Winning leader in deception for cybersecurity detection, is a New Premier Gold Sponsor to the Annual ‘ASTORS’ Homeland Security Awards Program, but a recognized Platinum Award Winner for Two Consecutive Years in the 2016 and 2017 ‘ASTORS’ Awards Program. For years, attackers have been successfully using deception tactics as a foundation for breaching networks, by masquerading as legitimate employees, using stolen credentials and deceptive measures to infiltrate a network, all the while remaining undetected for lengthy dwell times. It is time to turn the tables on attackers and use deception against them. ThreatDefend is a comprehensive, scalable detection platform designed for early detection of external threat actors and insiders (employees, suppliers, contractors) and for accelerating incident response. Automatic Systems America, a returning Featured Gold Sponsor of the 2018 ‘ASTORS’ Awards Program, is a world leader of automated physical access control equipment for pedestrian and vehicle entrances. Equipped with a high processing capacity and an exclusive detection system, the SlimLane SQ guarantees accurate user tracking and prevents any unauthorized access. Designed to allow fast access to authorized individuals, the Automatic Systems pedestrian entry control equipment – secure portals, swinging and retractable obstacle turnstiles, are integrated perfectly within the lobbies of multi-tenant office buildings, at the entrances of financial institutions, registered offices, and even recreation sites. The SlimLane SQ Swing Arm security entrance lane competing in the 2018 ‘ASTORS’ Homeland Security Awards Program, offers a high bidirectional throughput and uncompromising security. With elegant design, the SlimLane SQ is designed to integrate perfectly into any architectural environment while allowing the integration of multiple peripherals. Equipped with a high processing capacity and an exclusive detection system, the SlimLane SQ is a modular product that can be installed as a single lane or in a multi-lane array. Based on industrial experience spanning close to 50 years, Automatic Systems designs and manufactures access control equipment for secure access (building access, boarding control, immigration control, etc. ), paid access (public transport systems, highway tolls), secure control of vehicle access & more! Desktop Alert, a worldwide recognized leader in providing enterprise-class, network-centric emergency mass notification systems to private, industrial, military, government and commercial organizations, is New to the Annual ‘ASTORS’ Homeland Security Awards Program, and a New Featured Sponsor in the 2018 ‘ASTORS’ Awards Program. Desktop Alert retains the Enterprise Mass Notification contract for the U.S. National Guard, including the Army and Air National Guard, Northern Command and NORAD, which are intrinsically integrated with both Federal and State agencies. A Microsoft .Net based platform, Desktop Alert sends mission critical and life-saving alerts across an organizations existing computational infrastructure. Targeted devices include but are not limited to desktop and laptop workstation computers, PA and Giant Voices systems, VoIP phones, digital signage, mobile apps, NFPA approved fire alarms and more. SCOT™’s ability to be instantly deployed to a location makes it unique in the market, as many of today’s end users require solutions that offer immediate and long-term results without the debilitating cost or installation time of infrastructure investment. Robotic Assistance Devices (RAD), an innovator in artificial intelligence and robotic solutions for operational, security and monitoring needs, and exclusive North American assembly partner for SMP Robotics, is a returning Featured Sponsor of the 2018 ‘ASTORS’ Homeland Security Awards Program. The Security Control and Observation Tower (SCOT) is a stand-alone, remote, portable, self-sufficient security solution designed to expand an organization’s security reach instantly. SCOT is ideal for Homeland Security, Emergency Services and Law Enforcement applications where human detection and a notice-able security presence is needed to protect people and assets from outside threats. SCOT is fully customizable and can be used anywhere a ‘Stand-at-Post’ guarding position is in use, any visitor/employee check-in or kiosk location. SCOTS’s ability to be instantly deployed and it’s use of Artificial Intelligence (AI) allows it to deliver guarding services at a significantly lower cost and is considerably more affordable than any human or automated solution on the market. Royal Holdings Technologies has combined mobile platforms with IoT and AI into a single product called SWORD, to identify, manage and mitigate immediate weapon and explosives threats. With SWORD in hand, plainclothes security personnel can mingle with crowds, holding up their devices from between 30 feet to 100 feet away. SWORD features an integrated, infrared-object-detection HD camera and proprietary algorithims paired with the company’s facial recognition software, and all placed into what appears to be a regular case for an iPhone, iPad or select android phones. Making SWORD, the world’s first cutting-edge, 3D distance scanning device that is mobile-based and able to scan objects and people for weapons, explosives, facial recognition and provide real-time actionable counter measure alerts. The SWORD Mobile 3D imaging scanner, attaches to a Google Pixel 2 XL smartphone and Apple’s iPhone 8 Plus, and is accessed and controlled via a gully customizable dedicated app. From a distance of up to 40 feet, security agents or law enforcement can covertly scan individuals in a crowd, or approaching persons of interest, simply by discreetly pointing their smartphone at the target with the SWORD device attached. ISC East is the Northeast’s largest security industry event! At ISC East you will have the chance to meet with technical reps from over 225 leading brands in the security industry, allowing you to find out about new products and stay ahead of the competition. Encompassing everything from Video Surveillance and Access Control to Smart Home Technologies and Unmanned Security, you’re sure to find products and services that will benefit your company and clients. This is an exclusive luncheon opportunity to take a break from the show and enjoy a lovely meal with your team, guests, clients, show visitors in New York City, and a fabulous networking opportunity! AST at ISC East is Co-Locating with Three Events this year – so the 2018 ‘ASTORS’ Awards Luncheon Registration includes Complimentary Access Badge to Three Events in One! ISC East – The Northeast’s Largest Security Industry Trade Show. 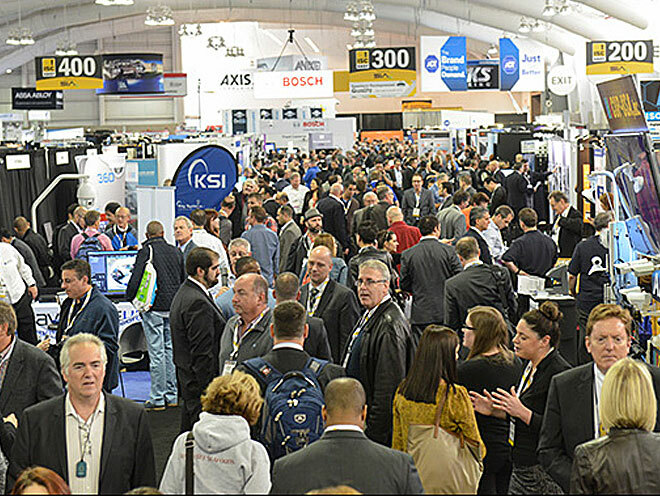 The combination of one-on-one dialog with the industry’s top innovators, special events, and cutting-edge education makes ISC East the Security Industry’s Most Comprehensive Event! Infosecurity North America – an Immersive Event for the Information Security Community where you will gain access to Expo Floor with the Latest Tech and Solutions along with a Variety of Networking Opportunities! Take a break from the Show and Join Us for this Exclusive Luncheon and Networking Opportunity at ISC East 2018. To Secure Seats or Reserve a Table to Host your Clients, Show Guests and Team Members to an Impressive, Affordable Plated Meal in the Heart of New York City, please go to Click Here! Invitation only email register information for your participation at the luncheon will be sent shortly to finalist contacts. Take advantage of this exclusive luncheon opportunity to Invite your Guests, Clients and Show Visitors to a lovely & affordable plated meal event in the heart of New York City, for a Fabulous Networking Opportunity! ISC East is the Northeast’s largest security industry event and your ‘ASTORS’ Awards Luncheon registration includes complimentary attendee access to the show. Already Exhibiting and/or Attending the 2018 ISC East Conference? Join us to meet the 2018 ‘ASTORS’ Award Winning Company Executives & Government Agency Representatives. Register today for the ‘ASTORS’ Homeland Security Awards Luncheon on November 14th, in New York City and give yourself & your clients a break from the show! Gourmet luncheon choices available per person, or reserve a table – make an Impression on your Guests and Receive an Exclusive Discount Opportunity. To Learn More about the AST 2018 ‘ASTORS’ Homeland Security Awards Program and Luncheon, please contact Michael Madsen, AST Publisher at: mmadsen@americansecuritytoday.com or call 732.233.8119 (mobile) or 646-450-6027. Luncheon registration includes complimentary attendee access to ISC East. The AST Digital Publications is distributed to over 75,000 qualified government and homeland security professionals in federal, state and local levels. AST puts forward the Largest and Most Qualified Circulation in Government with Over 75,000 readers on the Federal, State and Local levels. AST Reaches both Private & Public Experts, essential to meeting these new challenges. Today’s new generation of public safety and security experts need real-time knowledge to deal with domestic and international terrorism, lone wolf attacks, unprecedented urban violence, shifts in society, culture and media bias – making it increasingly difficult for Homeland Security, Law Enforcement, First Responders, Military and Private Security Professionals to implement coordinated security measures to ensure national security and improve public safety. These experts are from Government at the federal, state and local level as well as from private firms allied to government. AST provides a full plate of topics in our AST Monthly Magazine Editions, AST Website and AST Daily News Alerts, covering 23 Vital Sectors such as Access Control, Perimeter Protection, Video Surveillance/Analytics, Airport Security, Border Security, CBRNE Detection, Border Security, Ports, Cybersecurity, Networking Security, Encryption, Law Enforcement, First Responders, Campus Security, Security Services, Corporate Facilities, and Emergency Response among others. AST has Expanded readership into integral Critical Infrastructure audiences such as Protection of Nuclear Facilities, Water Plants & Dams, Bridges & Tunnels, and other potential targets of terrorism. Other areas of concern are Transportation Hubs, Public Assemblies, Government Facilities, Sporting & Concert Stadiums, our Nation’s Schools & Universities, and Commercial Business Destinations – all enticing targets due to the large number of persons and resources clustered together. Information about the AST 2019 ‘ASTORS’ Homeland Security Awards Program awards will be available at americansecuritytoday.com in the Spring of 2019. Acoustic Technology Inc./ATI Systems Inc.
High Rise Escape Systems Inc.